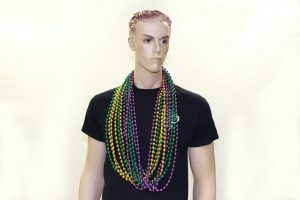 Very rare OVERSTOCK sale on THREE types of throw beads by the case. 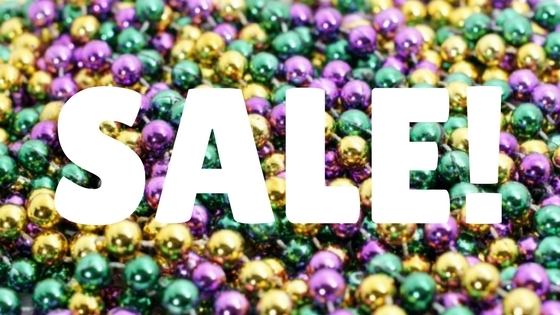 While supplies last – when these items sell out, the sale is over – so hurry in! 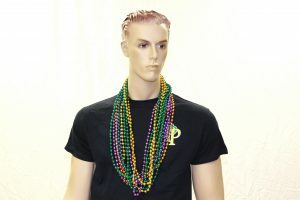 With one week left to Mardi Gras, we’ve got an overstock of three purple, gold & green bead mixes. This almost NEVER happens – take advantage of it while you can. Discount is by the case only. 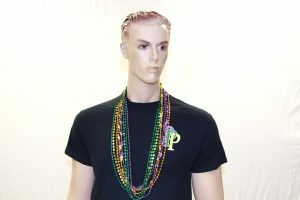 Discount applies to online AND in store purchases. All sales are final.